It didn’t become real until I walked outside the Dubai International Airport for the first time. I was hit with an oppressive combination of heat and humidity, the first tangible sensation I’d yet felt that told me that I was far from home. For the first time, I was in the middle east, and one day from flying into Entebbe, Uganda. So, how the hell did I go from living in paradise in southwestern Costa Rica to the suffocating summer heat of Dubai, and eventually to the bustling, dusty streets of Iganga, Uganda? It began before I moved to Costa Rica earlier this year, while I was back in Tennessee with family, feeling pretty stuck. I’d been back in the U.S. for nearly five months after leaving Costa Rica by this point, which to me felt like an enormous chasm of time and space. And not just in my surroundings, but in myself as well. 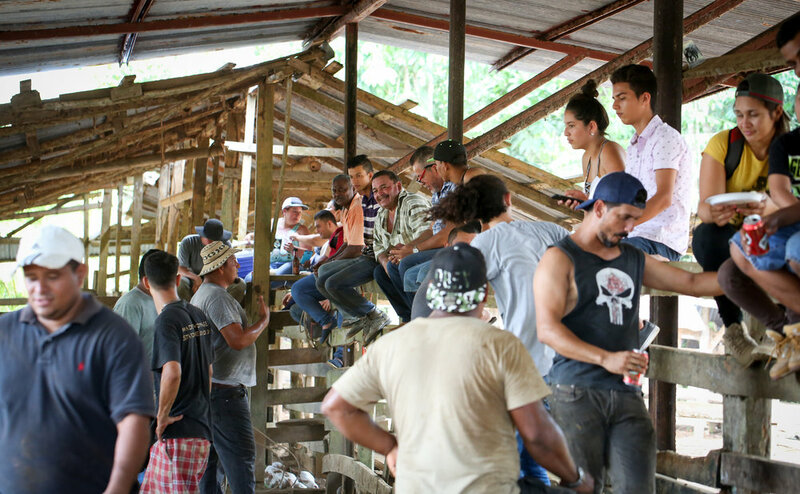 The eight months I had spent working in the Costa Rican jungle had been a watershed moment for me. I tapped into a part of myself that had long been laying dormant, the part of myself that was resilient and adaptive, and deeply interested in the world around me. But at this point, five months later, I could still remember who I was while living and working on the Osa Peninsula, but the person I was now was someone else entirely. I was plagued by self-doubt and indecision. And to complicate matters, my girlfriend and I, whom I had met while living in Costa Rica the year before, had decided to call it quits after months of trying to sustain a long-distance relationship. This was actually quite a relief for me, but the months prior, in which I was operating under the assumption that I would be moving to Washington D.C. to be near her, had dominated my plans entirely, obfuscating my vision for what I wanted to do. Now, I was starting from scratch. That’s how I would eventually end up back in Costa Rica. But, before that happened, I was in Tennessee feeling frustrated, scouring the internet for opportunities to escape. That’s how I first discovered the organization Photographers Without Borders (PWB). I don’t remember exactly what I typed into Google, but it was probably something like, photographer work abroad, as inventive as that sounds. Never the less, I stumbled across their website. PWB’s site described themselves as working with Non-Governmental Organizations (NGO’s) from around the globe, matching these organizations with talented photographers and videographers. The selected photographer would then be flown out to spend two or three weeks living with and shadowing the organization’s personnel, documenting photographically the work they were doing. The photographs would be used by the partner NGO for publicity and Photographers Without Borders would publish the photos in a number of print and online outlets as well. Though unpaid, this seemed right up my alley. I was desperate for any opportunity to get out of Tennessee, but more so, it seemed like a great way to further establish myself as a photojournalist working abroad. Looking through their list of partner NGO’s, I saw locations like Thailand, Guatemala, and Uganda, amongst others. Without needing to know much more than that, I submitted my portfolio for their review. It wasn’t more than a week later that I received a reply. I was told they loved my work and wanted to speak with me about pairing me with a project. As the next few weeks played out, I had several discussions with the staff at PWB, and multiple projects were proposed for me to choose from. Amongst the projects they proposed was the one in Uganda, working with a NGO called The Uganda Village Project. This organization works with rural Ugandan villages by providing healthcare options, clean drinking water, malaria prevention, HIV prevention and education, and treating women suffering from obstetric fistula, a debilitating injury caused by complications during child birth. The organization is sanctioned by the Ugandan government, and its staffing consists of public health and medical interns from Uganda and the U.S.
Maybe the idea wasn’t entirely my own, but never the less, I already had it in my head at the time that I needed to get to Africa somehow. And so I chose Uganda. Now, seven months later, I am sitting aboard an airplane en route from Dubai to Entebbe. Already, I feel excited and happy to be here, despite the enormity of the distance needed to be covered to make it there. This is my third flight. Yesterday, I flew from Nashville to Ft. Lauderdale, a normal jump off for making it to Costa Rica. But, this time, instead of heading south to Central America, I was going 8,000 miles east. Today, in comparison with I where was at the end of last year, I feel confident and more like myself again, and I know I have Costa Rica to thank for that… again. Having spent the majority of this year living on the Osa Peninsula, I feel refueled and spiritually recharged. I cannot specify or quantify what it is about living in Costa Rica that does this to me, I can only explain how it makes me feel. And that is, living in Costa Rica makes me feel more like myself, or maybe even closer to the best version of myself. 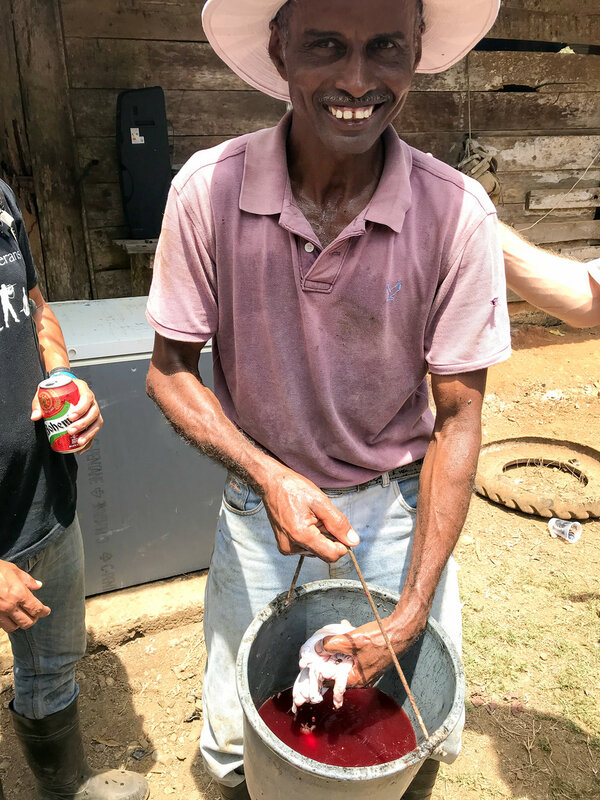 I thrive in environments that require me to be adaptive and resourceful, and that is what Costa Rica is to me. Anything can happen living where the jungle meets the sea, and it often does. 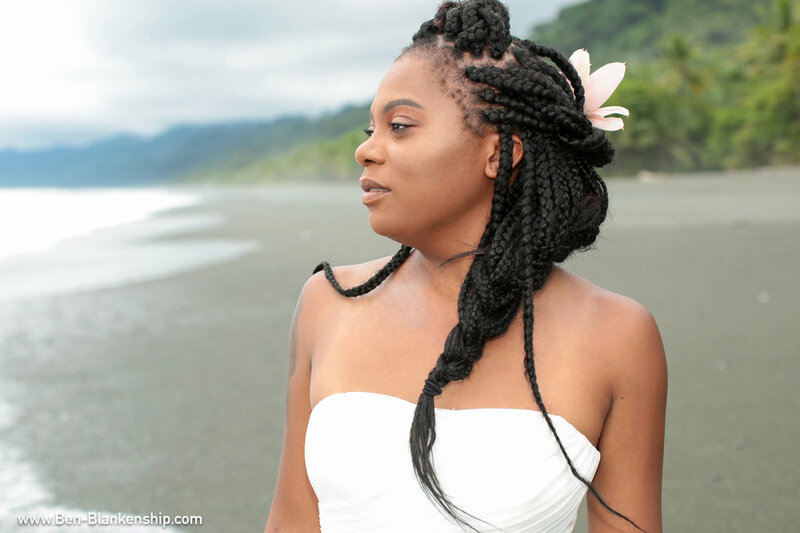 From enduring torrential downpours to rescuing wrecked motorcyclists to connecting with the amazing people and culture, Costa Rica leaves me feeling ready to take on anything. Which is a damn good thing, because so far, this trip is like nothing I have experienced before. Do stay tuned for more updates from Uganda. And, if you are interested in making a donation to help pay for the airfare and other expenses I have accrued by volunteering for this project, here is a link to the fundraiser page being run by Photographers Without Borders. I love a good wedding. It seems to me, with the proliferation of social media and technology, opportunities for true candor, face to face, between people are becoming more and more rare. That is why weddings can be such a special moment for all those in attendance. They provide that rare opportunity for people to truly express how they feel for one another. And not just for those getting married. Loved ones expressing their appreciation and love for the bride and groom (or bride and bride, or groom and groom) seem to experience a level of truth seldom, if ever, felt in day to day life. And this was something I witnessed take place a few days ago on an isolated black-sand beach on the Osa Peninsula. 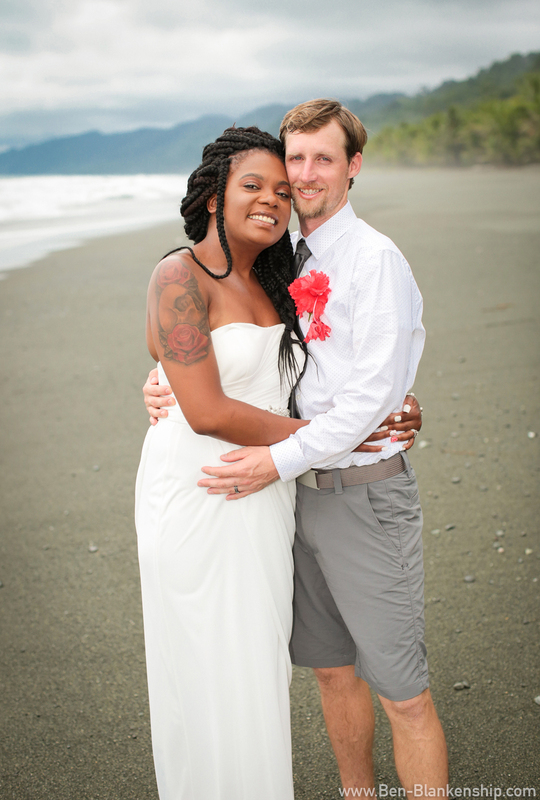 Last week, I had the enormous pleasure of photographing the Osa beach wedding of Sherri and Jory. 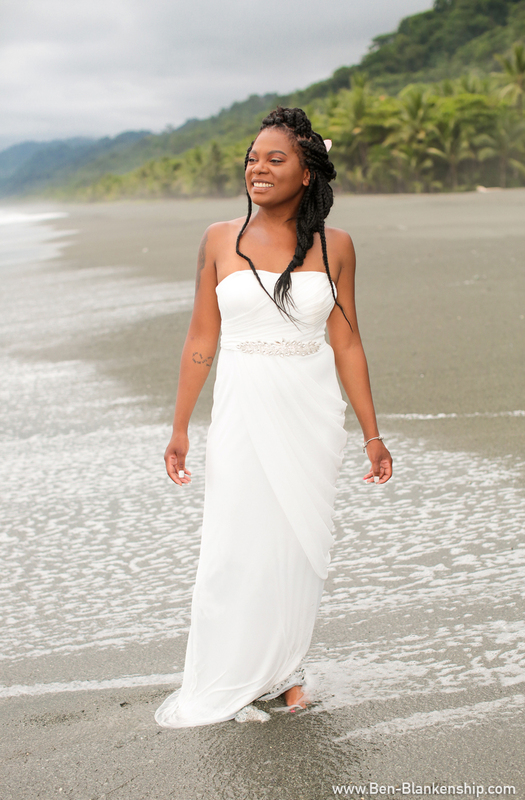 Weddings are meant to be beautiful, and a destination wedding in Costa Rica takes it to that next level. It is the natural beauty of the landscape and the culture here that makes living in Costa Rica such an amazing experience. And, it is this daily exposure to breathtaking beauty all around me that makes me so grateful for being able to experience life here on the Osa Peninsula. Sherri and Jory just after the ceremony. Taken in Carate, Costa Rica. June 2018. As a wedding photographer, it is your job to present those getting married, and also those in attendance, in the best light possible. And with a destination wedding on the Osa, the landscape does half of this job for you. Not only is every photo set against the natural backdrop of jungle and mountains colliding with black sand beaches, but you can see the joy and awe that the landscape instills in the expressions of those you are photographing. Sherri posing for her individual portraits. Taken in Carate, Costa Rica. June 2018. 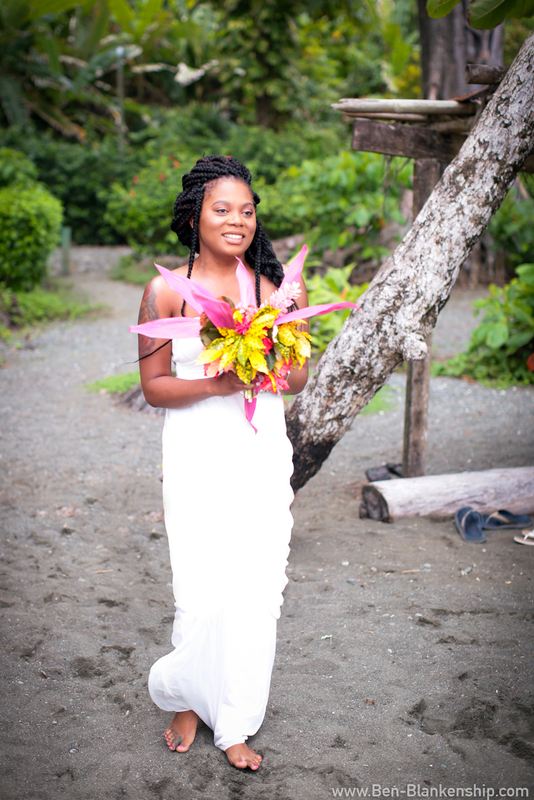 Sherri and Jory’s wedding took place on Carate Beach directly in front of The Lookout Inn. All of the wedding party stayed in Lookout for the weekend, and the Lookout staff did an amazing job setting up a “chapel on the beach” for the ceremony using only natural materials. Palm fronds, bamboo, and local wildflowers decorated the setting, and the incredible vista of the Osa provided the backdrop. It being June, rain was definitely a concern, but the weather cooperated, and the seasonal clouds rolling across the peninsula made the landscape that much more dramatic. Sherri and Jory exchange a kiss in the surf. Taken in Carate, Costa Rica. June 2018. If you or someone you know are considering a destination wedding, I urge you to consider the Osa Peninsula. Costa Rica is brimming with beautiful destinations. But, the Osa offers the opportunity to be surrounded by seemingly limitless natural beauty. 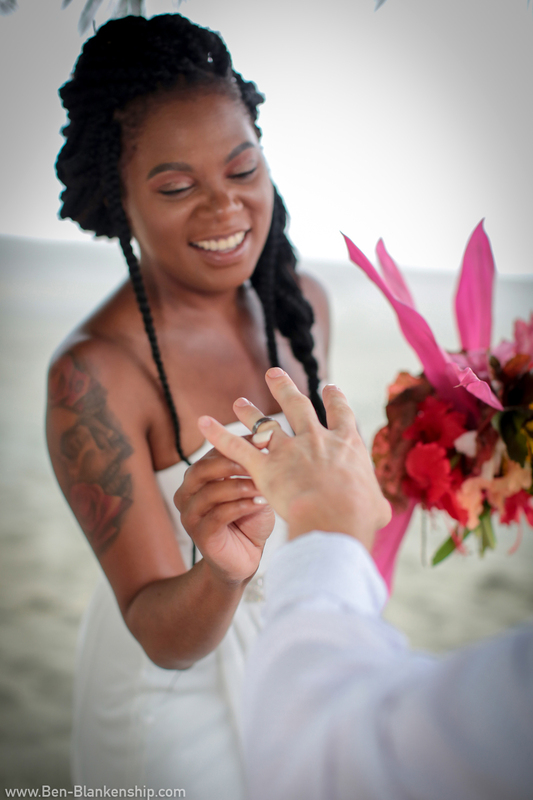 I have friends who were married at a resort in Costa Rica, and I feel that they may have missed out on some of what makes getting married here such a special opportunity. 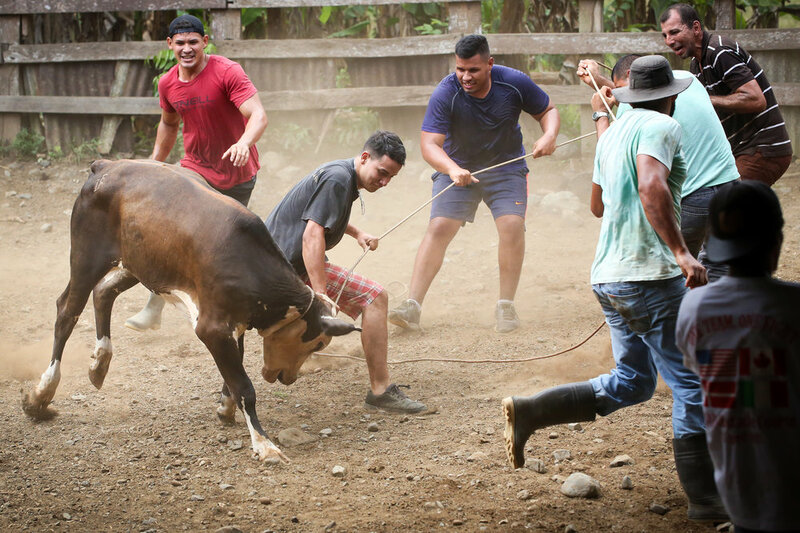 By cutting themselves off from the culture and wildlife behind the walls of an all-inclusive resort, they didn’t see the real Costa Rica. And, if you are making the trip all the way down here to get married, I say get married amidst the real Costa Rica! I am happy to share with you some of my favorite photos from the day. Do enjoy, and a big congratulations to Sherri and Jory! Sherri walks "the aisle." Taken in Carate, Costa Rica. June 2018. Jory expressing his vows to Sherri. Taken in Carate, Costa Rica. June 2018. Sherri places Jory's wedding band on his hand. Taken in Carate, Costa Rica. June 2018. Jory and Sherri, newly weds! Taken in Carate, Costa Rica. June 2018. And one more shot of the beautiful Sherri. Taken in Carate, Costa Rica. June 2018. This week on Living On The Osa, I am sharing some of my latest and favorite wildlife photographs from the Osa Peninsula. 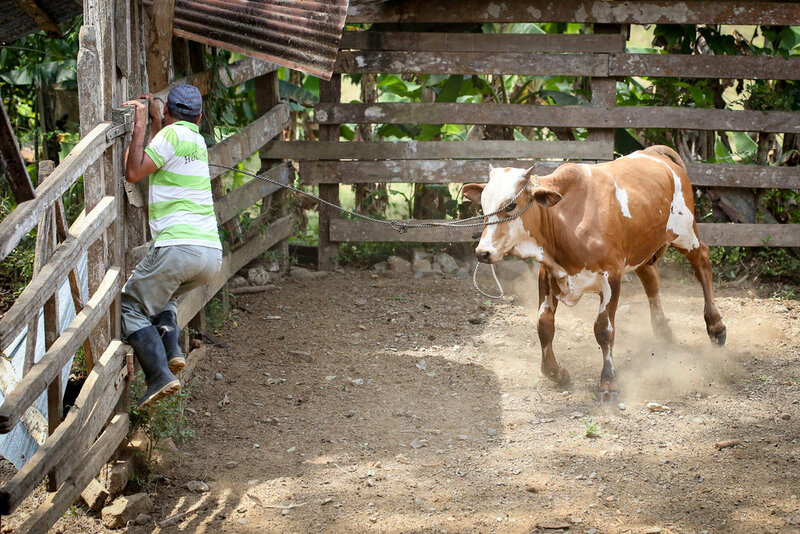 Last year, when I first arrived in Costa Rica, my wildlife photography portfolio was virtually nonexistent. And it was a priority of mine to really begin developing my abilities in this area. I had a fair amount of experience in portraiture, landscape, and photojournalism, but had not yet pushed myself to begin creating, what I hoped would someday be, publication-quality photos of wildlife in natural settings. And Costa Rica has been the absolute perfect location for me to develop these skills. Wildlife here is not only abundant; it is also incredibly beautiful and unique to anywhere else in the world. I am very proud of how far my photography has come over the past year in regards to wildlife. And even more so, I love recalling the stories of how each photo came to be. So, without further ado, here are some of my favorite photos and the stories behind them. Squirrel Monkey or Forest Elf? Taken in Carate, Costa Rica near Corcovado National Park. 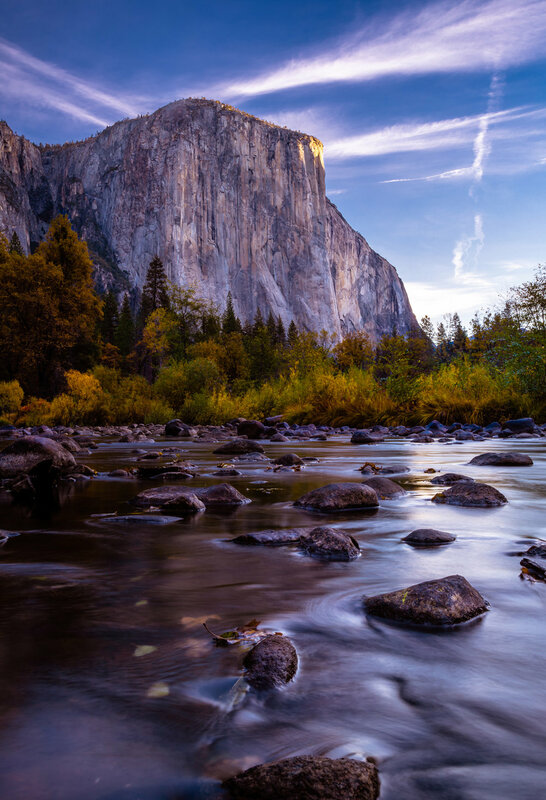 Photo by Ben Blankenship. April 2018. To start off, here is one of my newest photographs, this portrait of a squirrel monkey staring inquisitively into the camera lens. 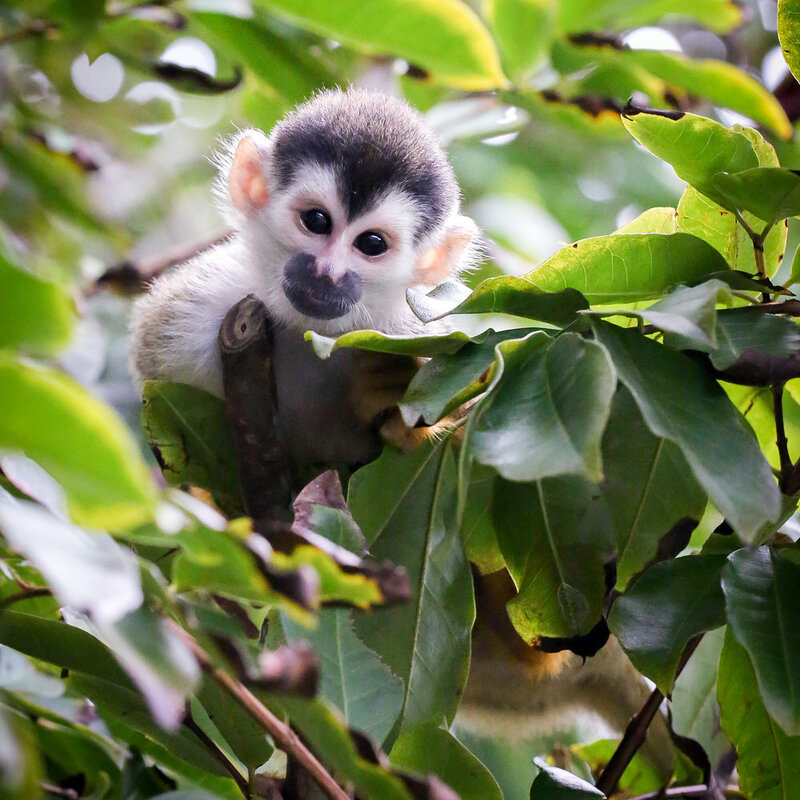 I can't help but think of squirrel monkeys as being like little forest elves, bouncing and flying through the canopy. Rarely have I been close enough to capture a decent portrait of one of these shy little monkeys. However, on this day, the troupe was low in the canopy and hanging out near a local lodge where I was spending the afternoon. The monkeys weren't feeding or traveling. They were spending their time that afternoon playing. 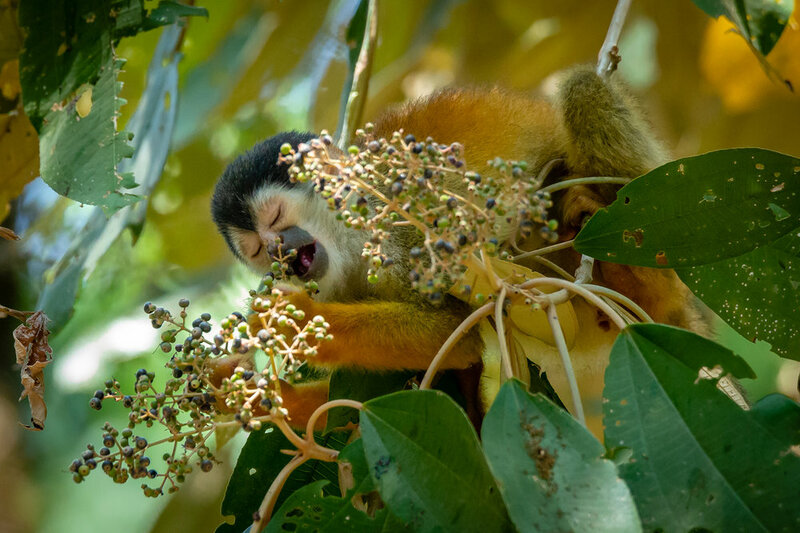 Squirrel monkeys lack prehensile tails, unlike the other three primates living in Costa Rica, but they make up for it with speed and daring! Their light-weight bodies allow them to make incredible leaps and catch themselves on the smallest of dangling branches in the canopy. Sometimes, I'll see a blur of red fur from the corner of my eye. I'll look over to see a dozen squirrel monkeys dropping over 15 feet, one by one, in a single leap and landing on giant banana leaves to break their fall. 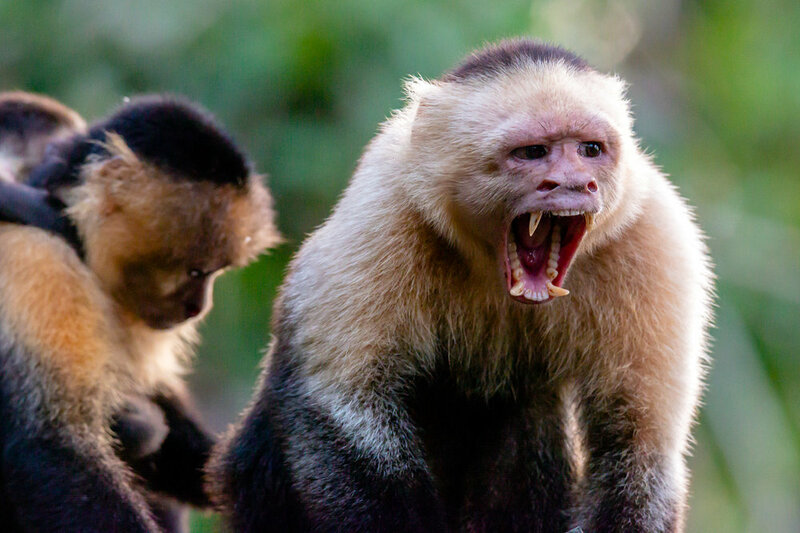 They may be the smallest of the four monkeys in Costa Rica, but they are also one of the most entertaining to observe. 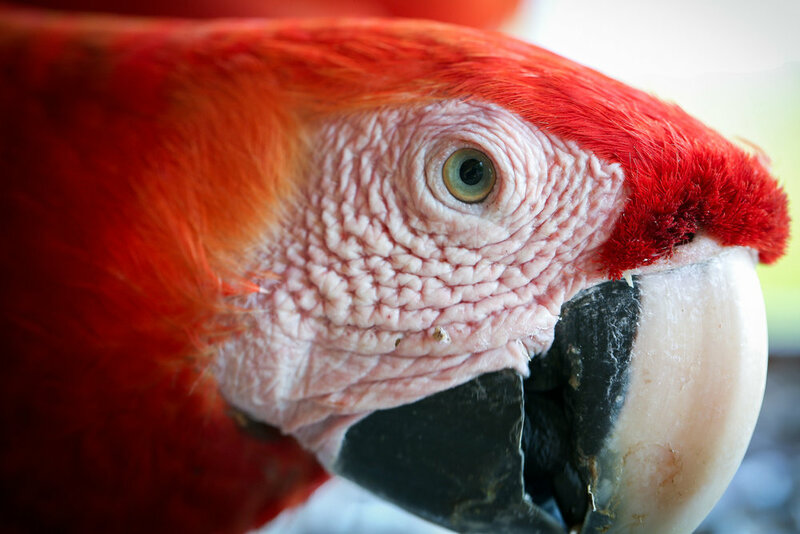 Scarlet Macaw-Stare Into My Eye. Taken in Carate, Costa Rica. 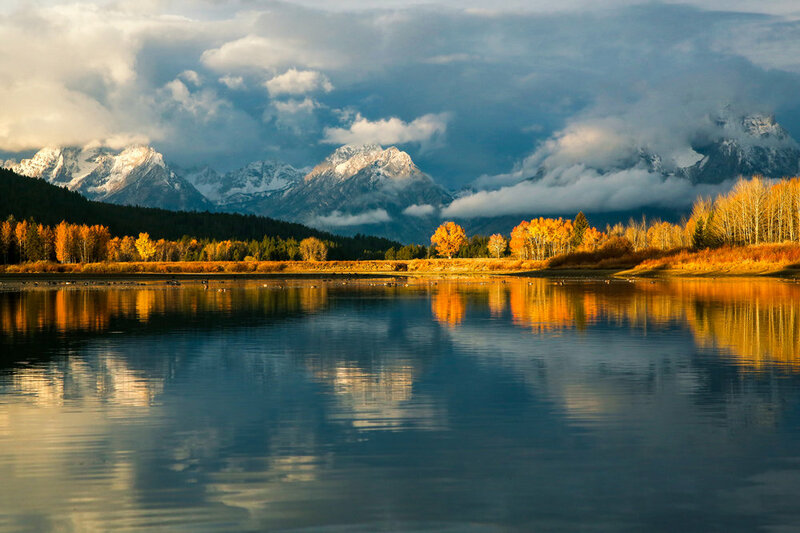 Photo by Ben Blankenship. March 2018. 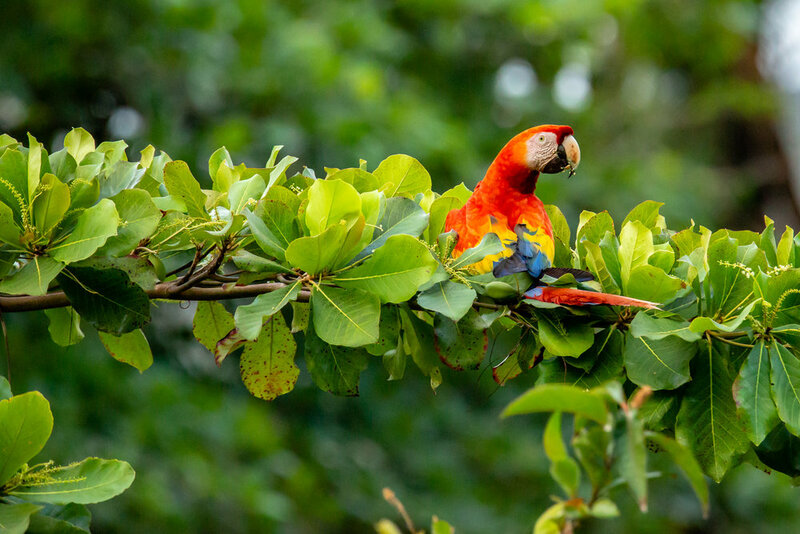 The Osa Peninsula has one of the largest breeding populations of Scarlet Macaws in the world. They are so common here, in fact, the ex-pats living in the area have taken to calling them, "Rainbow Crows." This portrait of an adult Scarlet Macaw was able to be taken at such a close range due to this bird's habit of visiting local eco-lodges looking for handouts. Lodge owners often put out sunflower seeds or bananas in hopes of luring macaws into close range for guests. Though I view the practice as being unethical, as it teaches these animals to depend upon humans, I also could not turn down this opportunity to get up close and personal with a wild scarlet macaw. Bare Hearted Glass Frog-Taken at Catappa Waterfall in Carate, Costa Rica near Corcovado National Park. 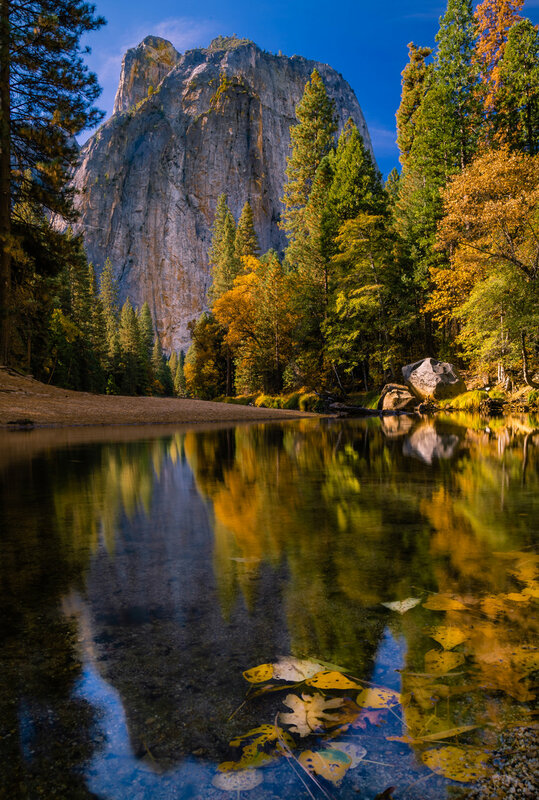 Photo by Ben Blankenship. April 2017. Amphibians and reptiles are easily two of my favorite types of animals to photograph. 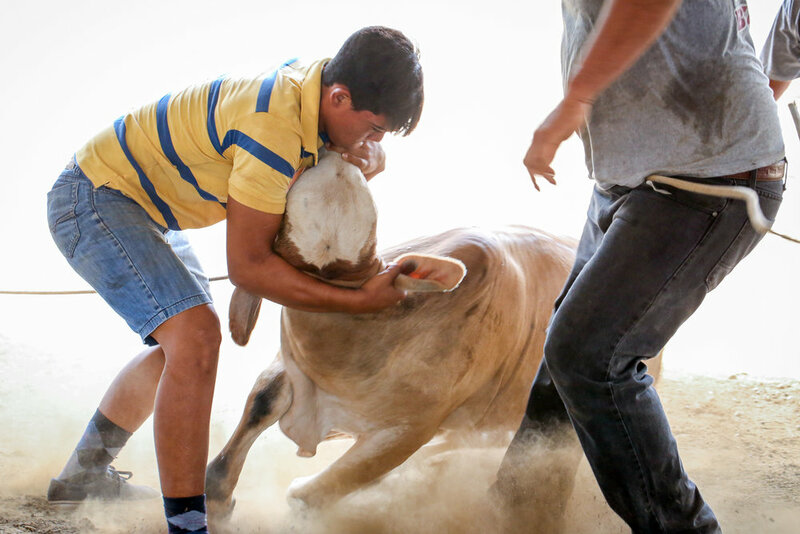 Not only are they beautiful and incredibly photogenic, but seeking them out is challenging and exciting. Those seeking to observe and photograph amphibians and reptiles in Costa Rica have the best luck at night, after the blazing heat of the Central American sun has passed. And it is not only the amphibians and reptiles that venture out after dark. The entire cast of characters in the rainforest does a "shift change." Whereas in the day, one sees monkeys, coatis, and macaws, at night ocelots and jaguarundi come out to hunt. Possums hang out in the trees. Armadillos scamper across dirt tracks, and giant tapir move quietly through the brush on the hunt for their favorite vegetarian dinner. The snakes, lizards, frogs, and toads all make ready for a night of activity. Frogs call to each other in the night, seeking out mates to fertilize eggs before the rains come. Snakes lie in wait in tree branches or along small game trails, ready in ambush for the perfect meal to come hopping past. This bare hearted glass frog is not nearly so sinister in its intentions. This little amphibian was looking for love. The bare hearted glass frog is said to be the most transparent of all the glass frog species. Though you cannot see it from this angle, its chest is nearly completely see-through, showing much of its internal organs and its little beating heart! This little glass frog was no bigger than the last joint of my thumb. They can be incredibly difficult to spot, and more difficult to photograph without spooking them. But this little amphibian was in love with the camera lens (or flash). It seemed mesmerized by the light of my camera, and compelled to get as close to it as possible. Just after this photo was taken, it leapt onto my camera lens, crawled over the ring-flash, and then hopped onto my face. I could feel its sticky little feet attaching and detaching from my skin as it walked from my cheek up to my forehead. I had to ask one of the volunteers I was working with to gently remove the frog from my head and then place it back onto a leaf. But, as soon as she had lifted it from my skin, it leapt back onto my face, directly between my eyes. It seemed I'd made a tiny transparent friend. Eventually, we were able to get the frog back onto a leaf, and we made our way further up the stream on the hunt for more animals. Golfo Dulce Anole-Camouflaged. Taken at Puma Creek in Carate, Costa Rica. Photo by Ben Blankenship. April 2017. Anoles in Costa Rica are common. Like really common. Walking along trails at night, one can spot several along the way, clinging to small branches and hiding amongst foliage. They have no natural defenses against predators like venom or toxic secretions, so they are a favorite prey animal for snakes and other predators. To survive, these little lizards need to be good at hiding! And this individual found itself the perfect leaf for concealing itself in the darkness. It appears to me that the position of its body is curved to match the contours of the leaf. I cannot confirm this, of course, but either way, this photo features a master of disguise at the top of its game. White Nosed Coati; Peek-a-Boo! 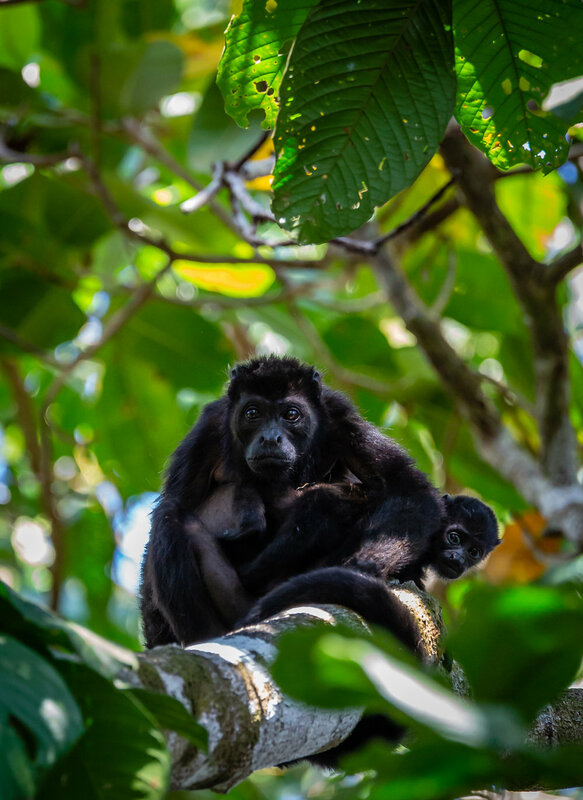 Taken in Corcovado National Park, Cost Rica. Photo by Ben Blankenship. August 2017. 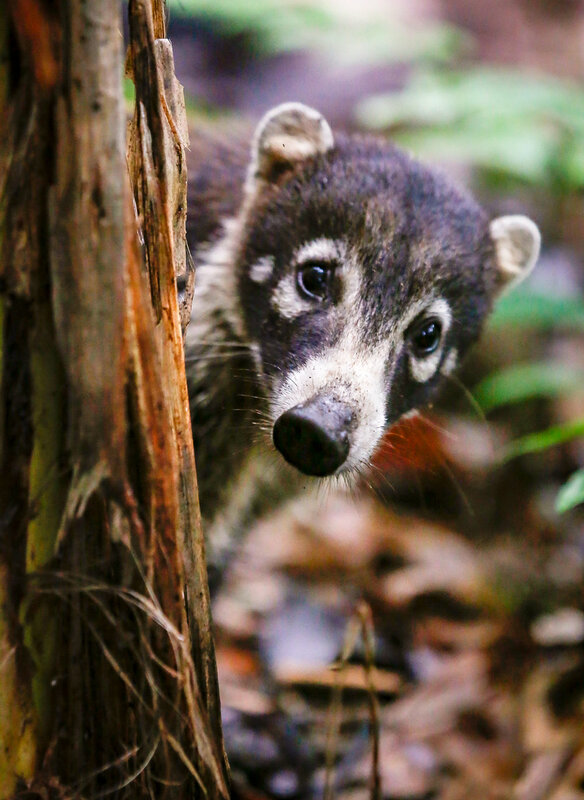 This white nosed coati was one member of a troupe of about fifteen individuals. They were patrolling the hillsides just inside the boundaries of Corcovado National Park on a successful hunt for land crabs. These medium-sized mammals are quite odd in appearance, kind of a mish-mash of a bear, a badger, and a raccoon. 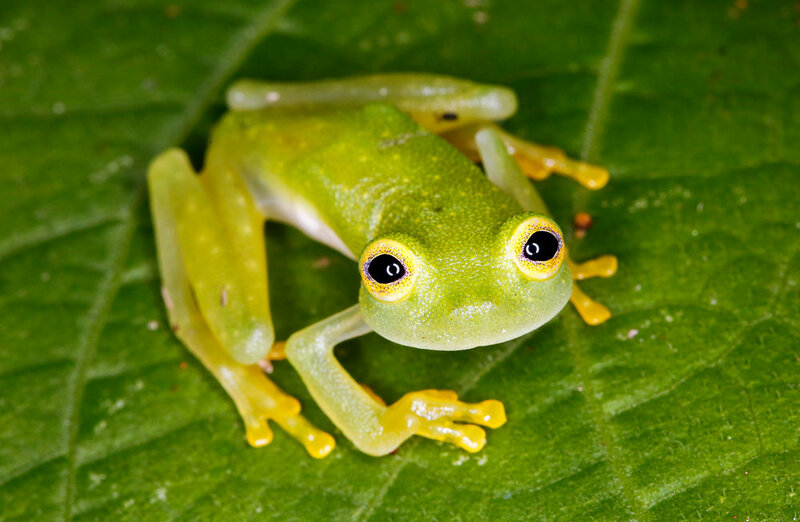 They are intelligent, curious, and incredibly well adapted to living in Costa Rica's rainforests. Like their closest relatives, the raccoon, they are adept at problem solving, scavenging, climbing and mischief! Frog Eggs About to Hatch. Taken at Puma Creek in Carate, Costa Rica. Photo by Ben Blankenship. May 2017. And next to last, here is one of my favorites. Getting this photo of a clutch of frog eggs was months in the making. I had been searching for weeks for this very thing, but with no success. Then, on one of the last few nights before my departure from Costa Rica last year, whilst on a night walk up Puma Creek, I came across this incredible site. 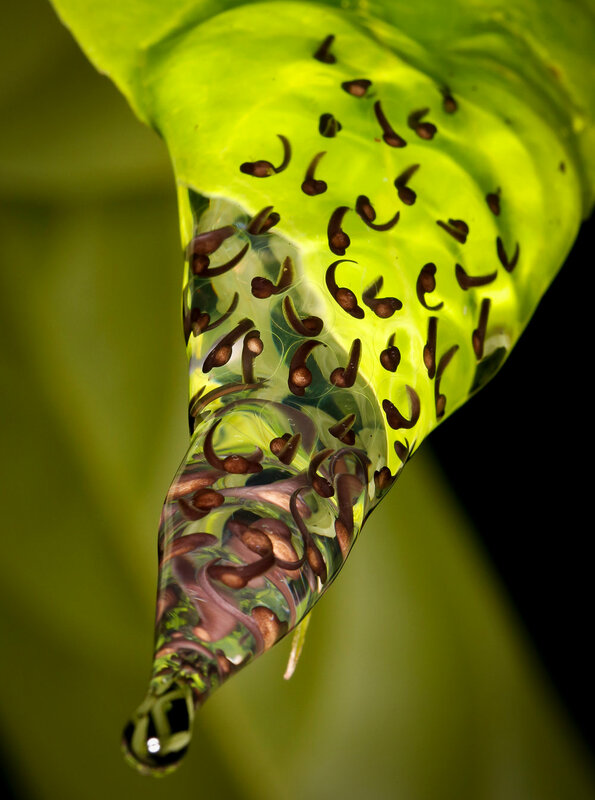 This gelatinous clutch of eggs was dangling from a leaf about three meters off the ground, directly above a flowing stream. And inside of the jelly were dozens of frog eggs, each one containing a wriggling, writhing tadpole. These young frogs-to-be were obviously quite well developed and only days from pushing their way out of their eggs and into the flowing water below to begin the next phase of their lives. 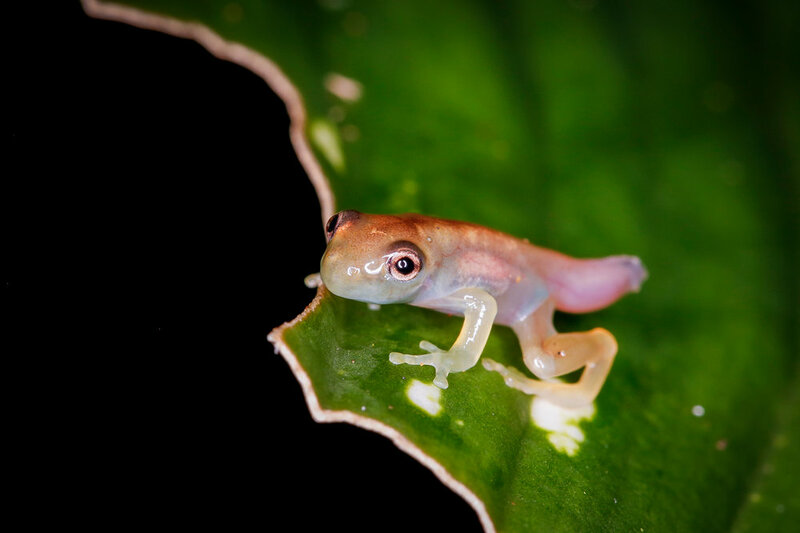 Frogling in Metamorphosis - Taken at Puma Creek in Carate, Costa Rica. 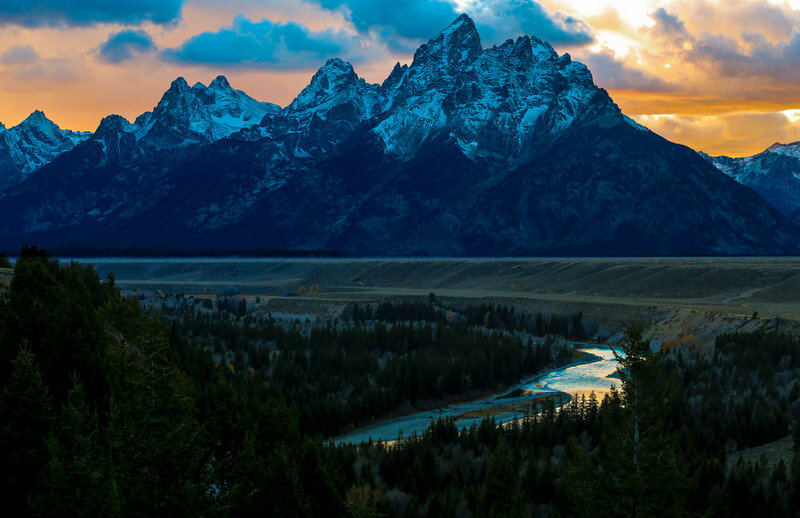 Photo by Ben Blankenship. May 2017. And to finish things off, here is another photo from that same night of a frog in metamorphosis, illustrating the incredible change these animals undergo throughout their lifetimes. You can easily see it has its tadpole tail completely intact. But, it also has well developed legs as it makes its move from a completely aquatic life to one of dodging predators amongst the leaves.